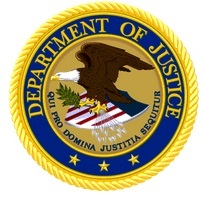 The Justice Department and the Nuclear Regulatory Commission have reached a financial settlement of $132,000 with three entities that allegedly misrepresented their small business status in order to pay reduced nuclear material handling fees. While denying the allegations, the three entities — Constructora Santiago II, Corp., Centro Cardiovascular and Hospital Del Maestro — collectively agreed to pay the settlement. In order to possess and handle radioactive materials, an entity has to obtain a license from the Nuclear Regulatory Commission (NRC) and pay an annual fee. The NRC permits companies to pay a reduced fee if it qualifies as a small business. In order to certify small business status, a business must average gross receipts of $7 million or less over its last three completed fiscal years. Each small business entity is required to complete a form certifying that it meets the criteria to qualify as a small business entity. According to the settlement agreements, Constructora Santiago II, Corp., Centro Cardiovascular and Hospital Del Maestro falsely certified that each had gross receipts of less than $7 million when the government contends that in fact, all three companies had gross receipts that greatly exceeded $7 million. As a result of their false claims, each of the three entities paid reduced NRC license fees. Government contracts and federal procurement accounted for $1.1 billion in fraud settlements and judgments in fiscal year 2015, bringing procurement fraud totals to nearly $4 billion from January 2009 to the end of the fiscal year. All totaled, the Department of Justice obtained more than $3.5 billion in settlements and judgments from civil cases involving fraud and false claims against the government in the fiscal year ending Sept. 30, 2015. This is the fourth year in a row that the department has exceeded $3.5 billion in cases under the False Claims Act, and brings total recoveries from January 2009 to the end of the fiscal year to $26.4 billion. Significant cases involving federal contracts include a $146 million settlement with Supreme Group B.V. and several of its subsidiaries for alleged false claims to the Department of Defense (DoD) for food, water, fuel, and transportation of cargo for American soldiers in Afghanistan. Supreme Group is based in Dubai, United Arab Emirates (UAE). In addition, Supreme Group affiliates Supreme Foodservice GmbH, a privately held Swiss company, and Supreme Foodservice FZE, a privately-held UAE company, pleaded guilty to related criminal violations and paid more than $288 million in criminal fines. In two other defense contract settlements, Lockheed Martin Integrated Systems, a subsidiary of aerospace giant Lockheed Martin Inc., paid $27.5 million and DRS Technical Services Inc. paid $13.7 million to resolve allegations that their employees lacked required job qualifications while the companies charged for the higher level, qualified employees required under contracts with U.S. Army Communication and Electronics Command (CECOM). The CECOM contracts were designed to give the Army rapid access to products and services for operations in Iraq and Afghanistan. In a pair of cases involving contracts with the General Services Administration, VMware Inc. and Carahsoft Technology Corporation paid the United States $75.5 million and Iron Mountain Companies paid $44.5 million to settle their respective liability under the False Claims Act. The government alleged that California-based VMware and Virginia-based Carahsoft misrepresented their commercial sales practices, which resulted in overcharging government agencies for their software products and services sold through GSA’s Multiple Award Schedule. Similarly, Iron Mountain, a records storage company headquartered in Massachusetts, misrepresented its commercial sales practices to GSA and failed to give certain discounts given to its commercial customers, as required to gain access to the vast federal marketplace available to contractors through the Multiple Award Schedule. The Justice Department also settled allegations that private contractor U.S. Investigations Services Inc. (USIS) violated the False Claims Act in performing a contract with the Office of Personnel Management (OPM) to perform background investigations of federal employees and those applying for federal service. The government alleged that USIS took shortcuts that compromised its contractually-required quality review and that, had the government known, it would not have paid for the services. USIS agreed to forego at least $30 million in payments legitimately owed to the company to settle the government’s allegations.